One of the renowned live poker tournaments in Pacific-Asia, the Asian Poker Tour (APT) met this year an important attendance during his stopover in the Philippines (Cebu, Manilla) and in South Korea (Jeju). In front of the success met by the circuit during the first half of the year, the organizers revealed the continuation of the season with three steps in the program. The second half of the season will start on July, with a stop in Macao and will be ended by a stage in the Philippines, in October. From next July 24 to 31, the APT will stop in China, in the special administrative region of Macao, more precisely for the APT Macau. The poker room of the StarWorld Hotel and Casino will be the host of this tournament, which will have 14 events with the HK$ 25,000 Main Event as sticking point. Then, the circuit will follow with the APT Korea, which will take place at Phoenix Club of Jeju, from August 18 to 23. The tournament will have 10 events including the US$ 2,700 Main Event and the US$ 10,600 buy-in Super High Roller. 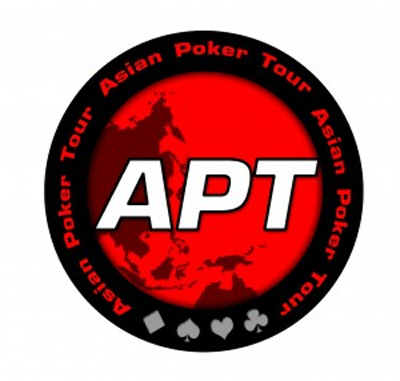 After Macao and Jeju, the Asian Poker Tour will mark a break before linking up with the APT Asian Series Manila, which will be held in the capital of the Philippines at the Resorts World Manila, in the month of October. On last April, the APT Philippines 2013 was won by Khac Trung Tran, after a heads-up with Thang Truong.